Marijuana has been headlining the news recently. From the Colorado to Maryland to California to Washington State, everyone is weighing in on the marijuana debate. Should it be legal? Should it only be used for medicinal purposes? Is there a governmental agenda? Should it stay illegal? Will legalization ease the burden of overpopulated jails and prisons that house offenders of small-time marijuana convictions and mandatory minimum sentences? Will making marijuana legal filter more money into the economy? Is marijuana harmful? Is marijuana addictive? There are many questions that are being asked and many opinions being thrown around about marijuana and where it stands in our society, how it is viewed, what are it’s benefits. The opinions are wide ranging and the arguments on each side are loud. Instead of giving an opinion of marijuana, it seemed better just to offer some facts about the drug and other important information for you to have that will help you form your own opinion. Maryland Addiction Recovery Center as an organization does not have an opinion on the marijuana legalization debate. As an addiction treatment center, our stance on marijuana is the same as our stance toward any legal or illegal drug: We are in the business of treating people that need help for substance abuse, chemical dependency, addiction or alcoholism. The legalities surrounding the substances are of little concern to us. Our concern is the physical, emotional, mental and spiritual health and wellness of those suffering. Roughly 750,000 people are arrested for marijuana each year, the vast majority of them for simple possession, with racial minorities over-represented. ARE THERE MEDICAL BENEFITS TO MARIJUANA? Here the sides are split. There seems to many people (and the majority of the United States population leaning in this direction) that praise marijuana for it’s medicinal benefits. 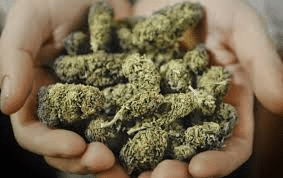 These benefits can include as an appetite stimulant, treating pain, relieving vomiting or nausea caused by chemotherapy, relieving pain and other symptoms of glaucoma as well as symptoms of cancer, HIV/AIDS and other extreme medical conditions or diseases. However, enough clinical evidence has not been collected to make medicinal marijuana FDA-approved. That being said, many in the medical profession believe that marijuana certainly has medicinal benefits and it seems as though society and local, state and federal governments are moving towards a place where marijuana will eventually be legal and approved by the FDA for treating certain medical conditions. There have always been claims that marijuana is not addictive. This is not exactly accurate. Clearly marijuana is not a physically addictive as say heroin, prescription narcotics or benzodiazepines. Someone who is addicted to those drugs will certainly have much more difficult and painful time physically getting clean and sober. 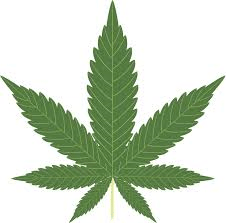 However, evidence does suggest that yes, marijuana can be addictive. Just like not everyone who drinks alcohol will become addicted to alcohol, not everyone that smokes marijuana will become addicted to marijuana. But yes, marijuana can be addictive. Research suggests that about 9 percent of users become addicted to marijuana; this number increases among those who start young (to about 17 percent, or 1 in 6) and among people who use marijuana daily (to 25-50 percent). Some long time users of marijuana even report suffering withdrawal symptoms that include irritability, sleeplessness, decreased appetite, anxiety, and drug cravings. Treatment for marijuana abuse or marijuana addiction is the same treatment that would take place for someone receiving treatment for a heroin or cocaine addiction. Unlike an opiate addiction or an alcohol addiction that would require a medically supervised opiate detox or alcohol detox, there would not be a traditional detox needed for marijuana, although some over-the-counter medications may help ease any physical symptoms. Behavioral interventions, including cognitive-behavioral therapy, would be included in treatment for marijuana addiction. Individual and group therapy and counseling would be utilized. However, the same comprehensive addiction treatment used for any person suffering from substance abuse would be used. A holistic approach that looked at the substance abuse, the underlying causes and conditions, emotional state, character pathologies, family dynamics would be examined, assessed and treated. The successful addiction treatment paradigm of medical treatment, psychotherapeutic treatment and social services/vocational counseling combined into one integrated approach would be used to treat marijuana abuse and addiction. If you or someone you know is suffering from marijuana abuse or marijuana addiction or any other issues with drugs and alcohol, please call us for help. Maryland Addiction Recovery Center offers the most comprehensive addiction treatment in the area. Please call us at (410) 773-0500 or email info@marylandaddictionrecovery.com. For more information on all of our addiction treatment services and resources, please visit the web site at www.marylandaddictionrecovery.com.